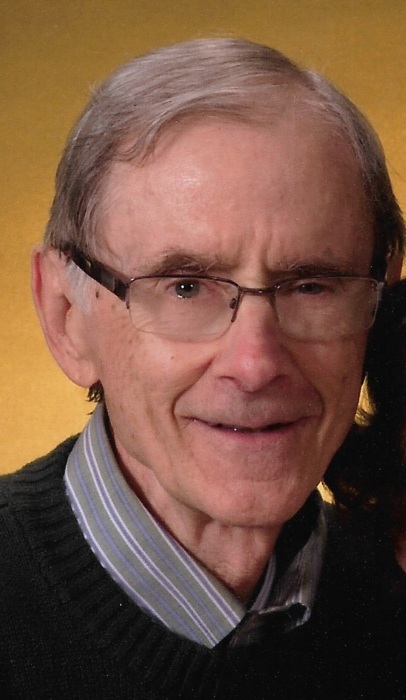 David Joerg, age 86, of Preston MN passed away Wednesday July 25, 2018 at The Waters On Mayowood in Rochester, MN. Memorial services for David Allen will be held at 2:00 P.M. Saturday August 4, 2018 at Christ Lutheran Church in Preston with Pastor Dan Bredberg officiating. Burial will take place in the Trinity Lutheran Cemetery in Spring Grove, MN. Visitation will be held one hour prior to the service at the church. Hindt-Hudek Funeral Home in Preston is in charge of arrangements. David Allen Joerg was born on April 27, 1932, to Leslie and Luverne (Lien) Joerg of Spring Grove at the Spring Grove Hospital. The family later moved to Caledonia, where David graduated from Caledonia High School as salutatorian of the Class of 1950. He then enrolled at the University of Minnesota Law School and graduated in 1957. In 1958 he set up his law practice in Preston, Minnesota, which he continued into his eighties. He partnered with Clement Snyder, Robert Benson and most recently Dwight Luhmann, and served as Preston City Attorney for many years. He was known for his early-morning runs before heading downtown for long days at his law office. David was a member of Christ Lutheran Church, where he attended regularly and served on the church council and as a lector, he was a member of the Lions and he was a member of the Preston Masonic Lodge. In 1964 he married Gertrude “Trudy” Spaetgens in Rochester. They divorced in 1995. On February 19, 2000, he married Rita Kramer at Christ Lutheran Church in Preston. David is survived by his wife, Rita; sons Christopher Joerg of Preston and Benjamin Joerg of Minneapolis; daughter Jillian (Daniel) Kheel of New York City; granddaughter Haley Joerg; Chris’s three stepchildren and one step-grandchild; Rita’s eight children and their spouses and her 12 grandchildren; brother Lowell Joerg of Stockton, California; and his long-time loyal office assistants, Beverly Hagedorn and Anne Comstock. He was preceded in death by his parents, sister Frances “Fran” McCarthy, and sister-in-law Terri Joerg. The family offers special appreciation for his care to The Waters/Ponds on Mayowood and to Seasons Hospice. Memorials are preferred to Alzheimer’s Research, Seasons Hospice, and Christ Lutheran Church.